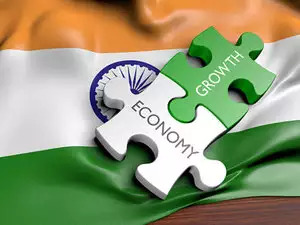 The Indian economy grew at a five-quarter high of 7.2 percent in the October-December period reflecting overall recovery due to good show by agriculture, manufacturing, construction and certain services. The gross valued added for manufacturing in the quarter under review grew at 8.9 percent higher than 6.9 percent in the previous quarter. Similarly, the farm sector GVA grew at 4.1 percent compared to 2.7 percent in the previous quarter.The construction sector recorded a growth of 6.8 percent, higher than 2.8 percent in previous quarter. The services segment including financial services grew at the rate of 6.7 percent up from 6.4 percent in previous quarter. The Finance Ministry has stated that robust growth in manufacturing and significant acceleration in construction mark a turnaround in the country's economic growth momentum.